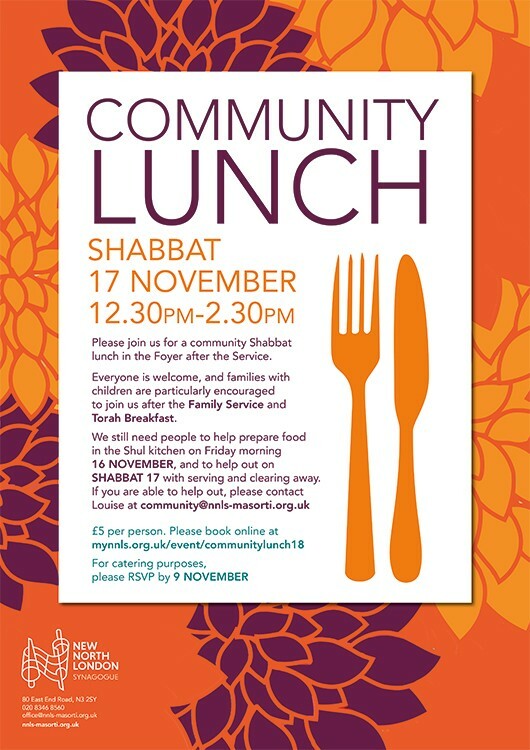 Please join us for a community Shabbat lunch in the Foyer after the Service. Everyone is welcome, and families with children are particularly encouraged to join us after the Family Service and Torah Breakfast. For catering purposes, please RSVP by 9th November. £5 per person. Please let us know any food allergies in the notes section below.